Hanoi (VNS/VNA) - Thanh Thanh Cong Tay Ninh Joint Stock Company (TTCS) will fully acquire Bien Hoa Sugar Joint Stock Company (JSC), becoming the biggest sugar producer in Vietnam. 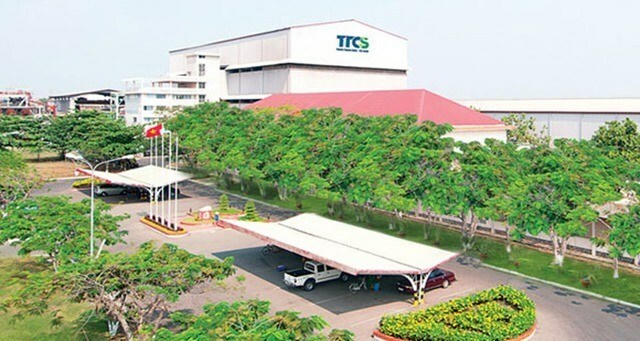 TTCS will issue nearly 304 million shares in a stock swap to acquire all outstanding shares of Bien Hoa Sugar at a ratio of 1:1.02. The conversion ratio was calculated by a third-party company that valued the shares of TTCS and Bien Hoa Sugar at 20,944 VND (0.92 USD) and 21,356 VND (0.94 USD), respectively. The deal will be carried out within 90 days. After the merger is completed, the chartered capital of TTCS will increase by 3.04 trillion VND (133.75 million USD) to 5.57 trillion VND (245.07 million USD). The new company will be renamed Thanh Thanh Cong Bien Hoa-Dong Nai Sugar Co., Ltd. The combined turnover of the companies last year was 8 trillion VND (353.42 million USD) with its capital of 10 trillion VND (440.53 million USD). Thanh Thanh Cong is one of several major companies to invest in the agricultural sector through mergers and acquisitions (M&A). In recent years, though M&A activities in agriculture have admittedly not been as frequent as in other sectors, the agricultural sector too has seen a significant increase in the number of successful M&A deals, and several major investors like Vingroup, Truong Hai, PAN, and Unifarm have been involved. They have benefited in the form of trillions of VND worth of turnover. VinEco, a member company of Vingroup, the leading estate developer in Vietnam has invested around 4 trillion VND in agriculture, generating revenues of 354 billion VND last year and an estimated 2.25 trillion VND this year. The Fresh Vegetables and Fruits Production and Supply Joint Stock Company, a subsidiary of TH Corporation, has announced plans to inject 35 million USD to develop 3,000 hectares of vegetables and fruits in the northern province of Thai Binh and 180 hectares in the north-central province of Nghe An. Masan Nutri-Science owns 75.15 percent of Vietnamese-French-owned Cattle Feed JSC (Proconco) and 99 percent of International Agriculture Nutrition JSC (Anco), which added 24.42 trillion VND to the company’s turnover and 1.54 trillion VND to its net profit last year. PAN Farm owns a 75 percent stake in the Vietnam National Seed Joint Stock Company (Vinaseed) and a 63.8 percent stake in PAN Saladbowl. Those companies, all of which have strong resources and ambitious and methodical strategies, are expected to help improve the quality as well as productivity of the agriculture sector, thus creating more opportunities for M&A deals. Analysts have come up with many reasons to explain giant companies’ great interest in M&A deals in the agricultural sector. Many of the Government’s recent policies are aimed at developing the agricultural sector with high quality and productivity. Notable among those is a resolution to provide credit worth 100 trillion VND (4.4 billion USD) at lower than market interest rates to develop high-tech agriculture. It stipulates that banks must cut costs so they can reduce interest rates for enterprises and individuals engaged in high-tech agriculture by 0.5-1.5 percentage points. They also need to simplify disbursement procedures to ensure that these enterprises can borrow. The Government is set to table amendments in the National Assembly to Land Law provisions stipulating limits on individual farm holding and to encourage development of technology-based farming models. The Government’s plans to equitise several major agricultural enterprises and sell stakes in them will also encourage investors to enter the agricultural sector, energising the M&A market. This year the Government plans to equitise the Vietnam Rubber Group, Southern Food Corporation, Vegetables, Fruits and Agro-Products Corporation, Vietnam Tea Corporation, and Vietnam Coffee Corporation. Besides, the Government will sell stakes in them estimated at 1.643 trillion VND (64.45 million USD). Many of the agricultural companies have strong brands as well as extensive land use rights, which would also be attractive to investors. The State Capital Investment Corporation (SCIC), the country’s sovereign fund, recently announced plans to sell 48.3 million shares in the Vietnam Dairy Products Joint Stock Company (Vinamilk), equivalent to a 3.33 percent stake, in October. This is part of the 3.6 percent stake remaining from 2016 when it had planned to sell 9 percent. The SCIC hopes to earn at least 7 trillion VND (308.4 million USD) from the sale. Market observers said they expect the share sale to be more successful this time than the last time. Vinamilk, Vietnam’s top listed firm by market value, has a 50 percent market share of dairy products and has seen steady earnings growth. Last October, when SCIC sought to sell a 9 percent stake in the company, despite the ostensible interest in the company among foreign investors, it turned out to be a disappointing exercise. There were only two bids, each for 2.7 percent, worth a combined 500 million USD. They came from two wholly-owned units of Singapore-headquartered Fraser and Neave Ltd (F&N), owned by Thai billionaire Charoen Sirivadhanabhakdi. The failure to sell out was blamed on certain reasons, one of which was the timing of the sale: It was during Christmas when western investors are busy with other things. The minimum price of 144,000 VND (6.35 USD), which was much higher than the market rate, was also cited as a reason. The SCIC wanted to wrap the whole exercise in such a short time that consultants did not have enough time to complete the process of book building, which refers to the process of generating, capturing, and recording demand for shares to support efficient price discovery. Investors had to start register and deposit between November 28 and December 9; the auction was scheduled from December 12 to 21. The failure of the first attempt suggests SCIC needs to make some changes this time if it expects a different outcome. The company should announce detailed plans related to the sale and pricing early so that potential investors have enough time to make a considered decision. But, experts said, the company might face some problems with book running since Vietnam lacks a proper legal framework for it.